And guess what? So do YOU. You think, “Of course I do!” But be aware my friend, it’s not just Facebook that brands you, it’s who you are, and how you are perceived day in – day out online. In this world of online marketing, branding is not just for your business. YOU also have a personal brand. In online marketing, branding is not just for your business. YOU also have a personal brand. A strong personal brand can change the face of how you do business, the depth and the breadth of your message, and the salary you can command while doing what you do best in your biz. Remember a strong personal brand depends on you consistently crafting a message of value in all you do online and off. What is your why or what do you stand for? What makes you interesting and compel your customers to buy, read, hire, or emulate? Tom Peters from Fast Company was one of the first to talk about this idea of Personal Branding back in 1997. Sounds a little dire, even now, but the message behind it remains undeniably true. We must always be on the lookout for ways to up-level our brand as well as the pitfalls that line the path to this pot of gold. Is that post you are about to publish helping or hurting your message? Are you engaging with your tribe and listening to what they have to say? Does your content educate and uplift? Do you reach out and connect to other likeminded high-value brands? One of the best places to use personal branding is in your LinkedIn Summary. Tell your next customer, client or business partner who finds you there, who you really are, how you make people feel and what is the benefit of working with you. Describe your work in your headline so your target audience understands, make sure how you serve is up front and center. Are you a creative connector who works well with computers? Are you a thoughtful entrepreneur who leads by honest example? Are you a strategic thinker who brainstorms successful solutions? Know yourself, know your brand, know your value. Only then can you truly sell. 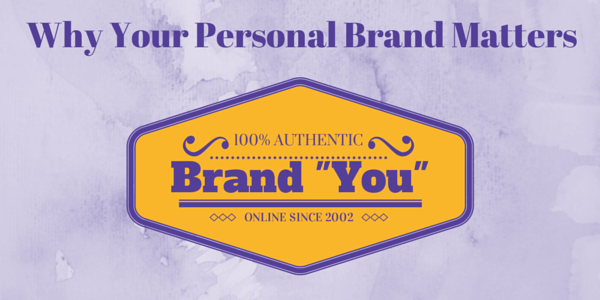 Want help decoding your personal brand? Join my LinkedIn group and together we can start you off in the right direction!